Snapchat co-founder Evan Spiegel responded to Facebook’s new Poke app today with the brief statement, “Welcome, Facebook. Seriously.” He declined to comment further. 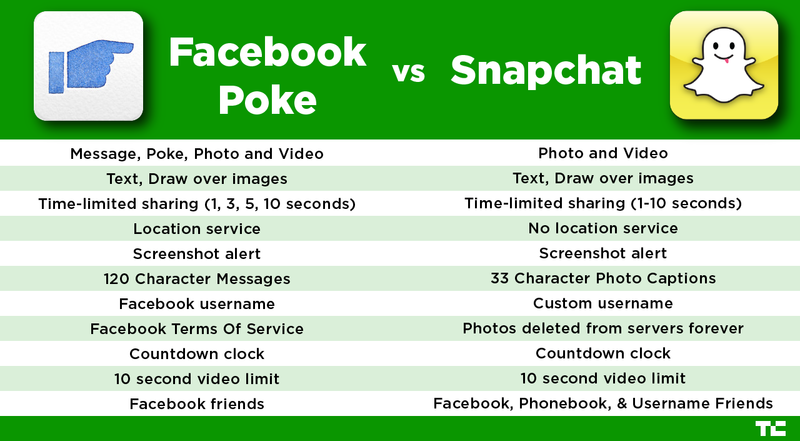 Facebook’s Poke is a standalone app for impermanent messaging; the interface and features are very similar to Snapchat, a young startup that sees 50 million photos shared per day and is in the process of raising a substantial funding round from Benchmark Capital. This is Facebook’s sixth app, joining the regular mobile app, Instagram, Facebook Camera, Facebook Pages Manager, and Facebook Messenger. Instagram was acquired after Facebook began developing the Camera app, and it’s widely believed that Facebook dropped the Facebook login requirement for Messenger to compete with popular messaging service WhatsApp. This summer, Dalton Caldwell wrote a widely discussed letter, “Dear Mark Zuckerberg,” chronicling his experience with Facebook’s aggressive Merger & Acquisitions tactics. Given that Snapchat is in the process of raising a major funding round, the timing of Poke is very interesting. On the one hand, having the world’s largest social network copy your app and onboard users across its mobile apps with much larger user bases could limit Snapchat’s growth significantly. On the other, Poke certainly validates this space as more than a place for sexters and high school and college kids. And just because Facebook built its own app doesn’t mean it still wouldn’t be interested in an acquisition. See Camera: Instagram.